Little Dumplings is the producer of the best and most effective Mandarin Chinese educational videos on the market today. The Little Dumplings videos are created by Peilin Chou who is the mom of two boys who are half-Chinese, and was inspired to find new and innovative ways for her own children to learn Mandarin. 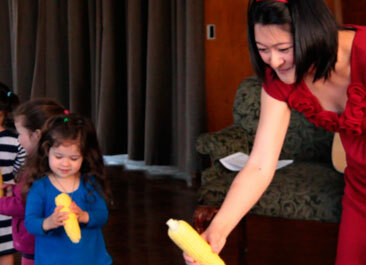 Peilin’s journey of bringing Mandarin to children began in 2009 when she founded Little Dumplings Pre-Nursery. Located in Manhattan’s Upper West Side, Little Dumplings was a warm and inclusive environment where children came to play, sing and learn Mandarin Chinese! For years, Peilin got many inquiries from parents and families wishing she could bring Little Dumplings to their town or city. Through the LIttle Dumplings Videos, Peilin is thrilled to offer her unique Mandarin Chinese learning experience to children all around the country, and the world! 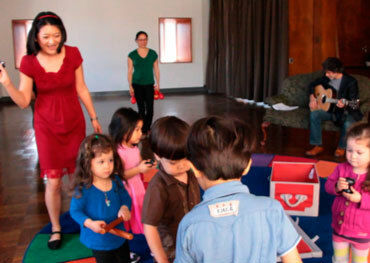 The curriculum featured in the Little Dumplings Videos represent the best and most effective teaching technique mined and learned from the school. It has been meticulously honed and finely tuned through the observation of dozens of children engaging with the curriculum over the course of many years. In addition to founding the Little Dumplings Pre-Nursery, Peilin is also a veteran professional in Film and Television. Her career spans over 20 years and includes serving as Creative Executive at Walt Disney Feature Animation, as well as Director of Development at Nickelodeon. She brings that level of expertise and professionalism to all of the LIttle Dumplings Videos. We really took this crucial finding to heart. In MEILYNN’S WORLD, our leading character is very intentionally cast as a live-action actress so that children can really get that all-important direct exposure to seeing how lips are shaped to make the sounds they hear. For the very same reason, the LITTLE DUMPLINGS PRE-NURSERY Video features an entire section at the end where our teacher is featured singing all of the songs from the video in close-up.